The subtropical climate (the average temperature in winter is 14C), relatively cheap cost of living, vibrant nightlife and easy access to the stunning beaches of the Algarve all make Lisbon a very attractive place to settle. Few places in Europe can equal its mix of history, urban charm and waterside scenery, and that’s why Lisbon has become one of the most popular locations for expats looking to relocate to Portugal. The current population exceeds 500,000 people in the city, and if we include the surrounding areas, that number increases to approximately 2.7 million. Lisbon is still one of the more affordable cities in Europe, and the quality of life here is pretty good. So, even though finding an apartment may present a challenge with the influx of expats and holidaymakers, it will be worth it in the end. The cost of accommodation is reasonable, and property is rather spacious in comparison to most of Northern Europe. The newer apartment blocks have mod cons such as air conditioning. This can come in handy in the heat of summer if you are used to a colder climate. The older buildings ooze with charm but do require more maintenance, and may also have problems with plumbing and electricity. If you are looking for a family-friendly area, then you may wish to check out Campo de Ourique. This location offers plenty of modern amenities and a real neighbourhood feel. If you are after a more cosmopolitan lifestyle, then Principe Real may be worth a mention. This area is located on the top of the hill, within walking distance from some of the best shopping the city has to offer. The area is now home to a series of high-end developments and is quickly becoming one of the most sought-after residential districts in the city. For a hip and trendy vibe, Bairro Alto is a good bet. Spread over a winding maze of cobbled streets, this is the perfect place for night owls. Parque de Naçoes was the site of the 1998 Expo and has undergone a major facelift over the course of the past 20 years. The area has a multitude of modern developments to choose from and plenty of amenities right on your doorstep. The cheapest option, if you’re staying longer than six months, is to rent privately. Sapo and Custo Justo are some of the main rental websites in Portugal. Please be aware that many properties in Portugal come unfurnished. In order to sign a tenancy agreement in Lisbon, you will need to have a Portuguese fiscal number. This number is also required to conduct any business in Portugal. 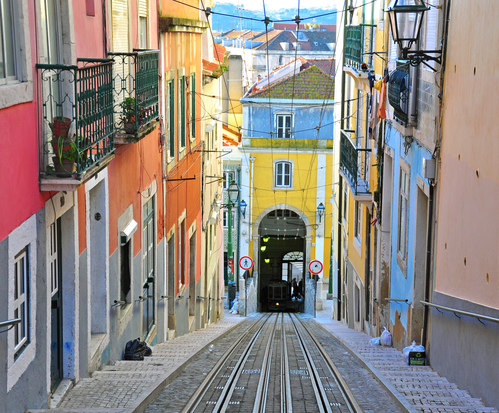 There are many different neighbourhoods in Lisbon, offering something for everyone. When renting privately, ensure that all required paperwork is signed prior to any money exchanging hands. Enlisting the help of a local rental agent may save you some time and help avoid the unnecessary stress if their work is satisfactory. A good agent can provide information on the areas that meet your requirements, advise of any restrictions that apply to expats, locate a professional translator and give you a good understanding of the current state of the local property market. Your tenancy agreement can be either fixed-term or open-ended. With a fixed-term contract, the exact end date should be listed, along with any penalties that will apply if the agreement is broken by either party. It's a requirement for tenancy agreements in Portugal to include information about the landlord and tenant, property details, terms and conditions of rent, how much money must be paid and when. It’s normal for the landlord to ask for two months’ rent as a security deposit prior to you moving in. There is no law in place to manage the security deposits, which means that landlords can keep the money for the duration of the tenancy. You may be able to place the deposit in a separate account, which can’t be touched by either party during the rental period. Once the tenancy has come to an end and the landlord is happy with the state of the property, the deposit will need to be returned to you. Bear in mind that there isn’t a set timescale for how long this may take. Whilst on the subject of moving out, you can usually give notice to your landlord after six months. If you’ve got more than a year left on the lease, you are required to give 120 days’ notice. Should you have less than a year remaining, the standard is 60 days’ notice. It’s also a possibility to end the tenancy due to a contract breach. For example, if your landlord fails to do vital renovation work or essential maintenance. 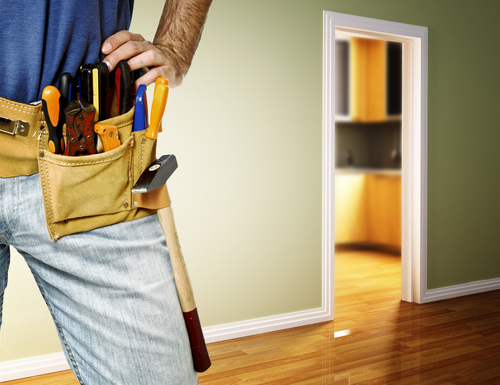 Your landlord must ensure that essential maintenance work is carried out. You can be served with an eviction notice by your landlord if they want the apartment back or the property needs to be vacated in order for renovation work to take place. You will need to be made aware of this six months in advance. If construction work is the main motivation, then the landlord may have to either compensate you financially or temporarily relocate you to a property of a similar standard. Tenancy laws in Portugal tend to be favourable to the tenant, so it can be very difficult for landlords to evict them. Regardless of the type of lease agreement, you should always ensure that there is a rental license in place by checking with the local council. Have you lived in Lisbon? Share your experiences in the comments below, or answer the questions here to be featured in an interview!